Please visit PhotoHunt's HQ to see what others have SPOTTED! 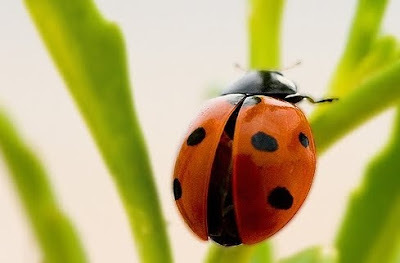 Beautiful picture -- you caught the ladybug perfectly. Beautiful picture. We choose the same subject. I like how used the depth of field to create interest. That's a beautiful pic. I love the colors! Certainly another interesting theme with lots of different takes. I’m glad I came and saw yours. I took a little different angle. You can drop by and check mine here. Fantastic shot! You can even see the dimpling in the shell. what a lovely ladybug. happy weekend. I have a lot of ladybugs in my yard and I really love them. This is such a beautiful photo of one of them! Great take on the theme. oh, a beetle and it is a lovely spotted one! Perfect for this week's theme! What a beautiful close up! Perfect for this week's theme. The pic looks attractive and I must say that the click you have shared is really worthy. You got the perfect look out of this lady.